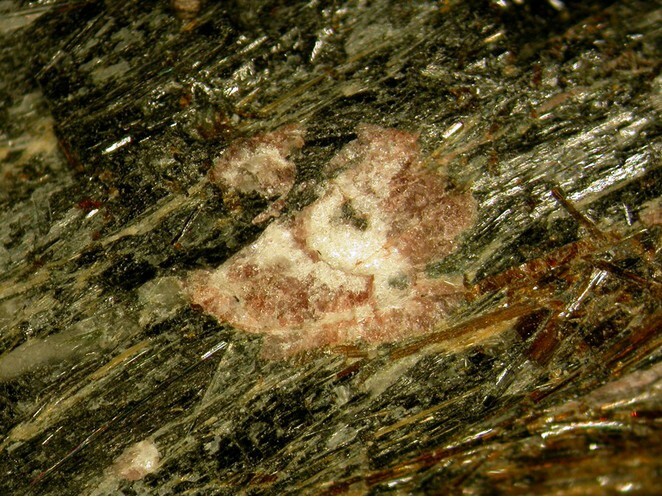 Paraumbite: Mineral information, data and localities. Name derives from the Greek 'para' for near, and umbrite, for the close structural similarity to that mineral. 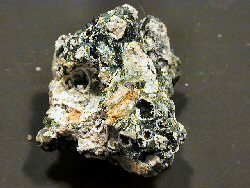 This page provides mineralogical data about Paraumbite. Fersman Mineralogical Museum, Academy of Sciences, USSR, (Moscow). Museum of the Geological Institute, Kola Branch Academy of Sciences, USSR (Apatit). Khomyakov, A.P., Voronkov, A.A., Kobyashev, Y.S., Polezhaeva, L.I. (1983) Umbite and paraumbite, new potassium zirconosilicates from the Khibina alkali massif. Zapiski Vsesoyuznogo Mineralogicheskogo Obshchestva: 112: 461 469 (Russian). Eudialyte 5 photos of Paraumbite associated with Eudialyte on mindat.org. Aegirine 2 photos of Paraumbite associated with Aegirine on mindat.org. Astrophyllite 2 photos of Paraumbite associated with Astrophyllite on mindat.org. Nepheline 1 photo of Paraumbite associated with Nepheline on mindat.org. 59.2.1.1 Umbite K2(Zr,Ti)Si3O9 · H2O Orth. 59.2.1.3 Kostylevite K2Zr(Si3O9) · H2O Mon. Horváth, L., and Gault, R.G. 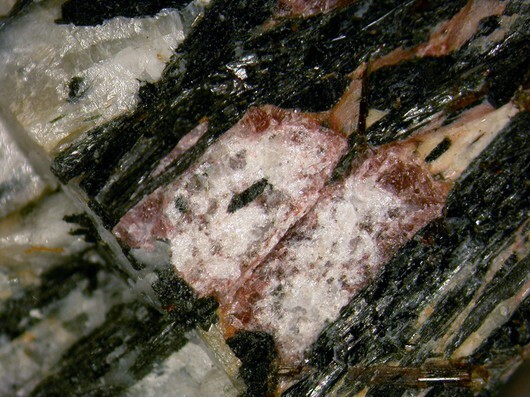 (1990) The mineralogy of Mont Saint Hilaire. Mineralogical Record: 21: 284-359. Yakovenchuk, V.N., Ivanyuk, G.Yu., Pakhomovsky, Ya.A., and Menshikov, Yu.P. (2005) Khibiny. Published by Laplandia Minerals, Apatity: 468 p.
Tice, P.E., Falster, A.U., and Simmons, W.B. (2000) Mineralogy of pegmatite bodies with rare-element syenite of the Magnet Cove igneous complex, Hot Springs Co., Arkansas. Abstracts with Program, 27rd Rochester Mineralogical Symposium, 2000, 12-13. Rocks and Minerals: 76: 257. P.M. Kartashov data; Arzamastsev, A., Yakovenchuk, V., Pakhomovsky, Y., & Ivanyuk, G. (2008). The Khibina and Lovozero alkaline massifs: Geology and unique mineralization. In Guidbook for 33rd International Geological Congress Excursion (No. 47, p. 58). TICE, P.E., FALSTER, A.U., and SIMMONS, W.B. (2000) Mineralogy of pegmatite bodies with rare-element syenite of the Magnet Cove igneous complex, Hot Springs Co., Arkansas. Abstracts with Program, 27rd Rochester Mineralogical Symposium, 2000, 12-13. Rocks and Minerals, 76, 257.